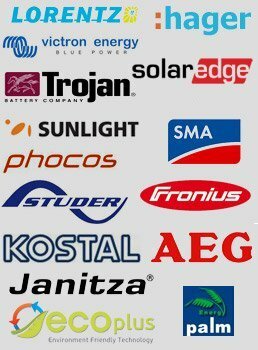 Vascon Solar Experts Ltd. was founded on February 11, 2008 and its main offices are located on Anexartisias No. 31 –Korno, 7640, Larnaka, Cyprus. The company mainly is involved in installing and maintaining Photovoltaic Systems. Vascon Solar Experts Ltd. has been in the photovoltaic market for 10 years and has installed approximately 1.5MWp photovoltaic systems in all of mainland Cyprus. The systems that have been installed by Vascon Solar Experts Ltd. are mainly interconnected photovoltaic systems on domestic rooftops, interconnected photovoltaic systems on industrial rooftops, independent photovoltaic systems on rural housing and housing in remote areas, and also photovoltaic pumps for recycling water for domestic pools. They also offer maintenance services for systems that have already been installed such as washing and cleaning and electrical and mechanical systems checking. The systems and the materials that are used by the company are fully checked and certified and are in compliance with all local regulations. Vascon Solar Experts certified in installation and maintenance of F / B small-scale systems through the European project PVTRIN which is responsive to the needs of the market based on the European directives.